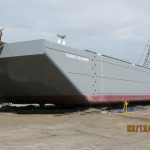 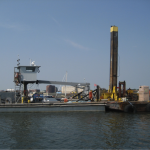 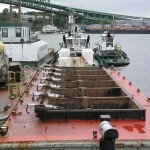 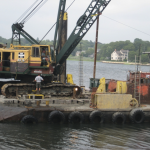 The TRINITY is a 39′ x 130′ x 7′ dredge designed to carry a 250,000 pound excavator or crane. 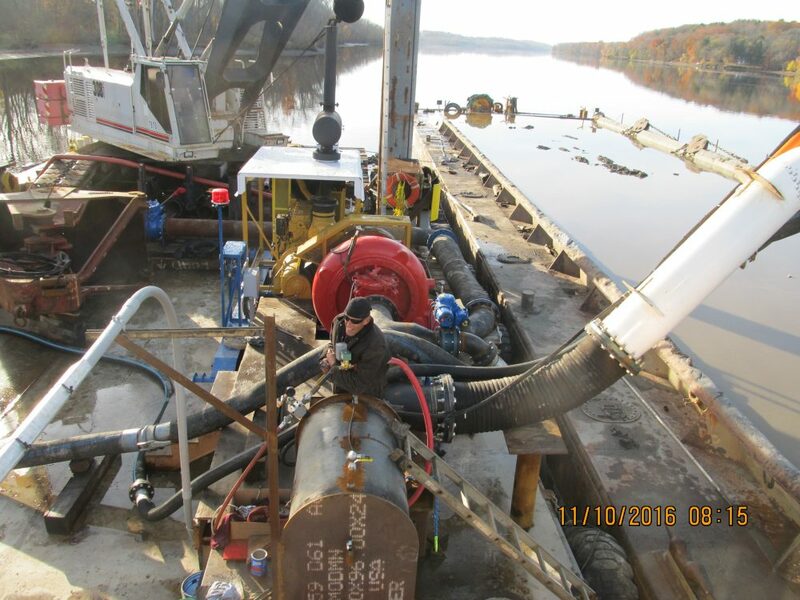 The dredge is equipped with the most modern spud and winch technology available controlling (3) 65 ft. spuds via hydraulic traction winches that can be remotely operated. 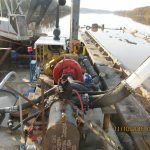 The system is truly one of a kind and can be operated from anywhere on deck with handheld radio controls. 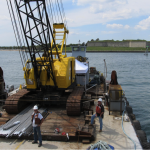 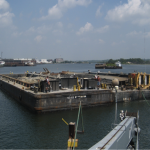 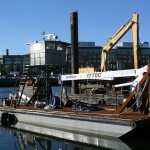 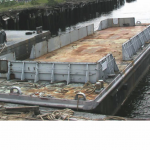 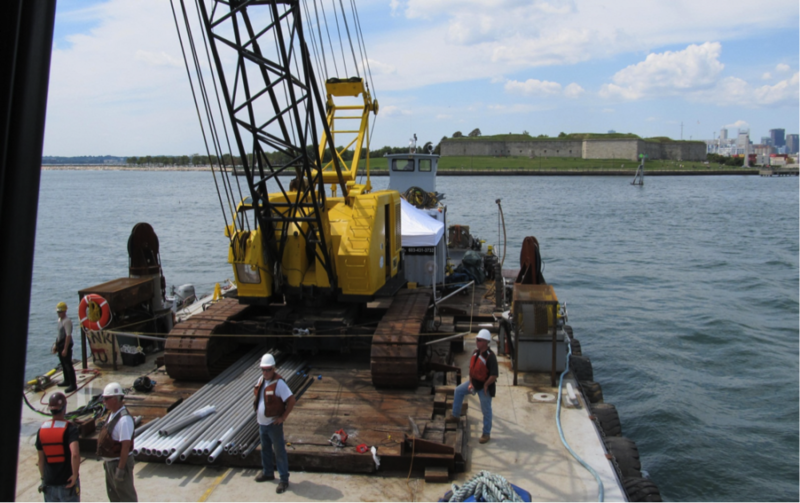 The barge is shown here with a 90 ton lattice boom P&H crane but has been effectively adapted for use as a dredge utilizing our Link Belt 308H2, a deep water drill barge utilizing proprietary designs for mobile drill rigs, and as a hydraulic unloader plant utilizing a custom adapted 14″ Ellicott booster pump. 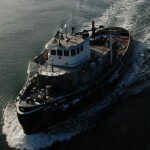 Trinity’s adaptability is self evident and her modular capability makes her a versatile tool. 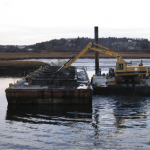 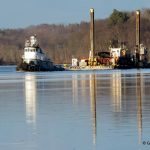 The dredge crane and barge are both equipped with a HYPACK dredge monitoring system that allows the operator to work efficiently and accurately to ensure over dredge limits are maintained. 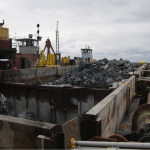 This software and sensor suite allows Trinity to perform remedial dredging as well as production dredging with a selection of environmental, toothed, and level-cut buckets available from 5-10 Cubic Yards of capacity.